When visiting the UK, a scenic drive in the Cotswolds, Stratford-upon-Avon to Cheltenham should be at the top of your list of places to explore. The superb natural scenery and charming authentic villages are what make this scenic drive such a pleasure. The trip from Stratford-upon-Avon to Cheltenham will only take approximately one hour to complete but this is all the more reason to take your time and really enjoy the sights along the way. In fact, if you have a few days to explore this area, you will be pleased to know that there are a number of camp sites here. So, instead of renting a regular car and booking into hotels, you can hit the road in your RV rental, motorhome or campervan hire and plan a flexible itinerary! The great thing about this drive is that you can make it a round trip with new and exciting things to see each way. There are two different routes you can choose from so you won’t need to travel the same road twice. 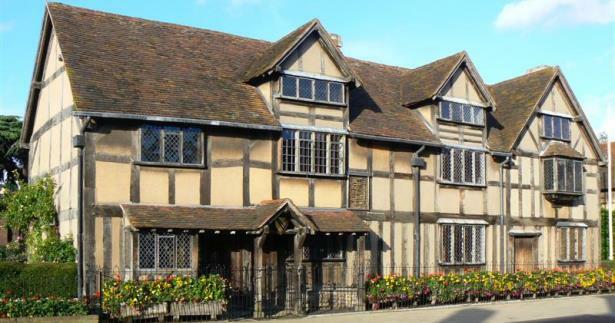 If you start in Stratford-upon-Avon, you will have plenty to see and do before you depart. You may know it as the birthplace of the one and only, William Shakespeare so you will see plenty of references to his life and work here. There are also a number of parks, theatres and sports complexes in the area so you will find something for everyone to enjoy. Take note of the many historic landmarks and enjoy the culturally rich atmosphere before moving on. There are a number of villages and towns along the way and Welford on Avon is a popular stop for visitors. Here you will find St Peter’s Church which is not too far from the River Avon as well as several historic sights. Bidford on Avon is another great place to stop if you fancy a round of golf, some exciting gliding or even a boat ride with the whole family. Harvington is the next main stop along the way and the Harvington Hall is certainly worth visiting. Apart from the intriguing history, you will also be able to enjoy some tea and the surrounding gardens here. The Almonry Heritage Centre, the Evesham Country Park and the Evesham Abbey are all popular Evesham attractions. If you fancy a bit of a hike, you can explore the popular Blossom Trail. As you approach your destination, you will pass through several towns like Beckford and Bishop’s Cleeve as well as several other towns slightly off route. While in Cheltenham, make sure that you take some time to explore before you drive back to Stratford-upon-Avon. Some of the most popular attractions here include walking through the Montpellier District, a visit to the Cheltenham Town Hall, the Holst Birthplace Museum and a scenic ride on the Gloucestershire Warwickshire Railway. You will also notice a number of parks, theatres and much more to enjoy here. On your way back, you can take the same road or you can explore a different route. As you leave Cheltenham, your first main stop, if you are a horse enthusiast, will be in Prestbury. Next up you can stop in Winchcombe to visit the Sudeley Castle, the local antiquities centre, museums or take a hike up to Belas Knap. Your next main stop will be in Broadway where you can visit Warwick Castle, stroll through the remarkably unchanged old town and visit various museums. There are also festivals in the area from time to time so be sure to plan your trip accordingly. 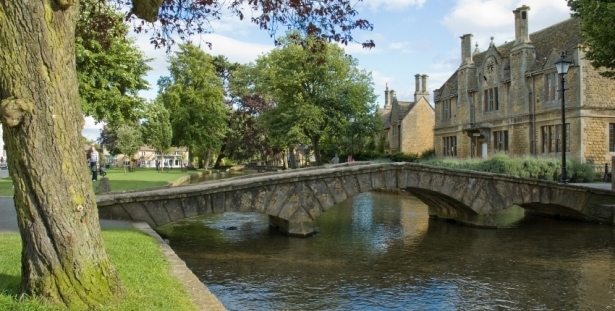 Chipping Campden is next on your itinerary. The main sights here include the Hidcote Manor Garden, St Eadburgha’s Church and several other historic structures. Next up is a relaxing drive through various small towns and villages on your way to Stratford-upon-Avon.